Welcome! I'm Dave Olverson and I'm glad to have you at Building Bull City. I am a 35-year-old Durham homeowner. I have a wife and a baby girl! I created this blog to "scratch my own itch". 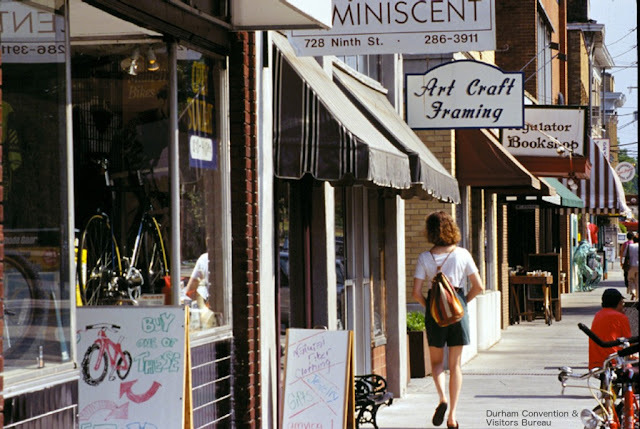 There are some great Durham sites that cover food, history/historic buildings, neighborhoods and other aspects of Durham, but I couldn't find many resources on the growth and change of the city. I have added this About Page at the request of some of the readers. I am a relatively private person - not looking for the spotlight on a personal level. However, in the off chance that this does develop some sort of readership, readers deserve to understand who/what is behind the words they are reading. I'm just someone who has fallen in love with the city of Durham - excited by all the changes that are happening, and hoping to raise issues to help spur even more great change where it is needed (I fully recognize that Durham is nowhere near perfect). Again, thanks for stopping by. My one request is that you engage. Leave a comment on a post you like. Contact me directly. I love to connect with people who are interested in Durham!